One of the things that WordPress users often look for in a theme is its efficiency. How quickly can you adapt to the design to distinguish between content and other elements? How well does the theme flow together to make a good reading experience? At the end of the day, the theme you’re looking for is essentially going to become your digital home. So, as a result of this observation, there has to be some form of visual liking to the theme you’re going to try to use. 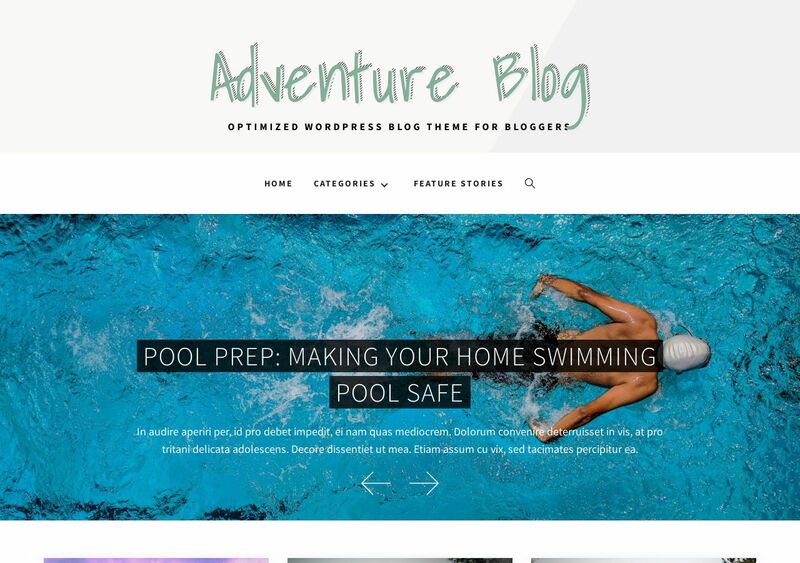 Adventure Blog is a free bloggers theme that tries to emphasize the finer aspects of content publishing. It has a nice design base, but it’s not overly flashy or complicated. At the same time, it’s open to customization whilst retaining that core structure. Maybe one day you want to publish a portfolio, or write bigger blog posts with large image slideshows. And if that’s the case, we know that Adventure Blog will prove successful in taking care of both matters.